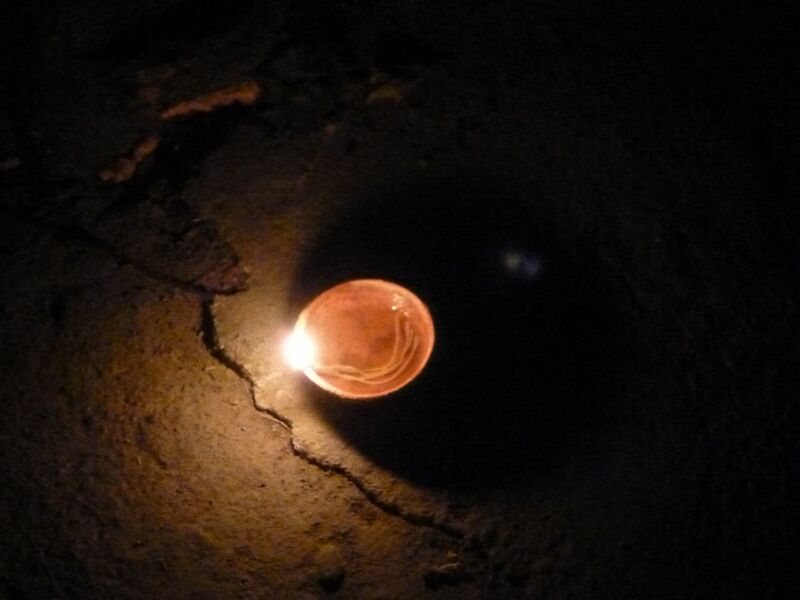 This past week, many Nepalis celebrated Tihar, the festival of lights. It’s also called Dipawali here and in India Diwali. 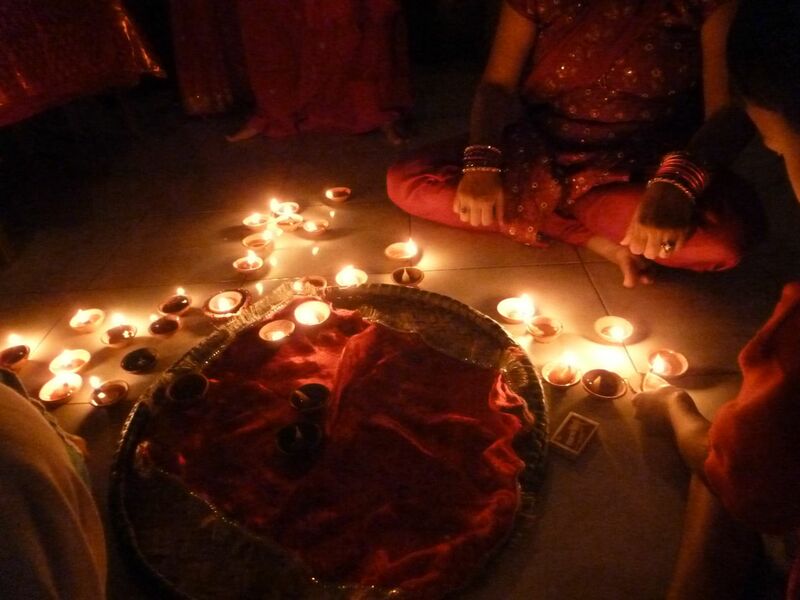 Tihar is a series of puja‘s (“religious worship”) that are done over the course of 4-5 days. On the first day is kaag (crow) puja and on the second kukkur (dog) puja. On the third day, there is both gai (cow) puja and Laxmi (the goddess of wealth) puja. On the fourth day, according to wikipedia, there are potentially three pujas that can be performed: gobardhan (cow dung) puja, goru (bull) puja, and Mha (self) puja–performed in the Newar community. On the last day is Bhai (brother) Tika, which is not a puja but a day where sisters put tika (often red vermilion powder mixed with water) on their brothers’ foreheads. This year, Laxmi Puja fell on a Wednesday, our fourth night in Bhutwal. The family friends we were staying with on Wednesday worked much of the day, cooking food and preparing the alter for the puja. The day before, they made some of the traditional Nepali treats that are eaten around Tihar, like celroti, khajuri, and goje (or bharuwa). Celroti is made from rice flower batter that’s been fried in oil. It’s crunchy when right out of the frying pan but gets stale quickly, so it’s not one of the favorite desserts. However, the khajuri, made from flower, butter, and sugar was so delicious, sweet and crumbly. I also like the goje (comes from goji, meaning “pocket), which was stuffed with ground coconut and sugar. There were already enough hands in the kitchen, so I went with one of the girls to help make the rangoli. A rangoli is placed in front of the door to the house and is be made from colorful powder (avir) and flowers (often marigolds, sayapatri). I didn’t see these in Kathmandu when we returned on Friday, and Tri told me that they’re more popular in Southern Nepal. 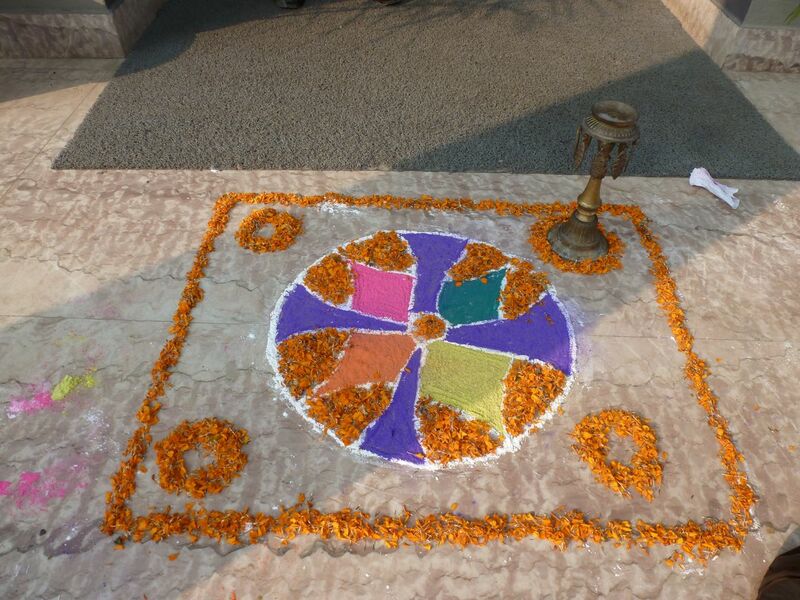 I also found out through my friend’s blog that South Indians living in Indonesia make rangolis as well. 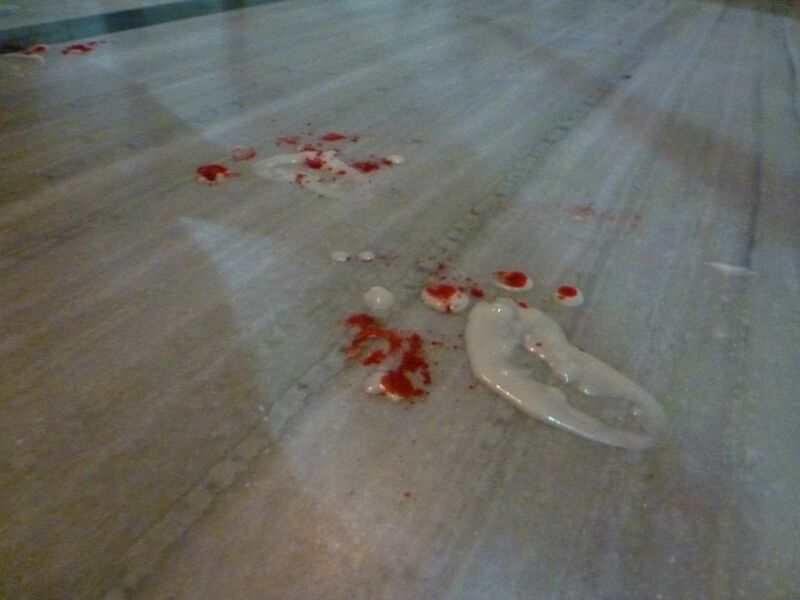 Footprints were also painted on the stoop outside of the house. They lead up to the room in which puja was performed and are supposed to guide Laxmi into the home. Then everyone, dressed in their finest, gathered for the puja.